One of the biggest IT challenges faced by companies of all sizes is supporting the dynamic needs of the business while managing a tight budget. In other words, doing more with less. When cloud technology first emerged, there were two distinct options: public and private. Soon after, hybrid environments were introduced, employing both formats. Now, numerous cloud solutions are available for enterprises, with distinct benefits and capabilities. While cloud hosting can deliver many benefits – flexibility, time-to-market, elimination of CapEx, and so on – it is important to select the right platform for the job. When dealing with mission-critical applications, running CPU intensive workloads, supporting corporate compliance and security policies or migrating legacy apps to a virtualized environment – extra care needs to be taken in designing the solution. Knowing that running their own infrastructure requires a large capital outlay and specialized resources to continuously manage, the best solution is often leveraging private clouds for their off-premise computing needs. As private clouds are increasingly deployed, it’s worth IT leaders’ time to better understand what they can uniquely offer and how they are used. The Hostway Virtual Private Cloud is designed to offer the performance, control, resiliency and value organizations demand for mission-critical applications. Supported by Microsoft Azure, The underlying architecture is optimized for predictable performance and control, with dedicated physical N+1 compute clusters for added resiliency. Management and integration into existing business operations is designed to be simple and efficient. The Hostway Virtual Private Cloud utilizes Windows Azure Pack (WAP) for control of compute, storage and networking resources. As a result, there is no need to retrain existing cloud administrators who are already familiar with Microsoft technologies. 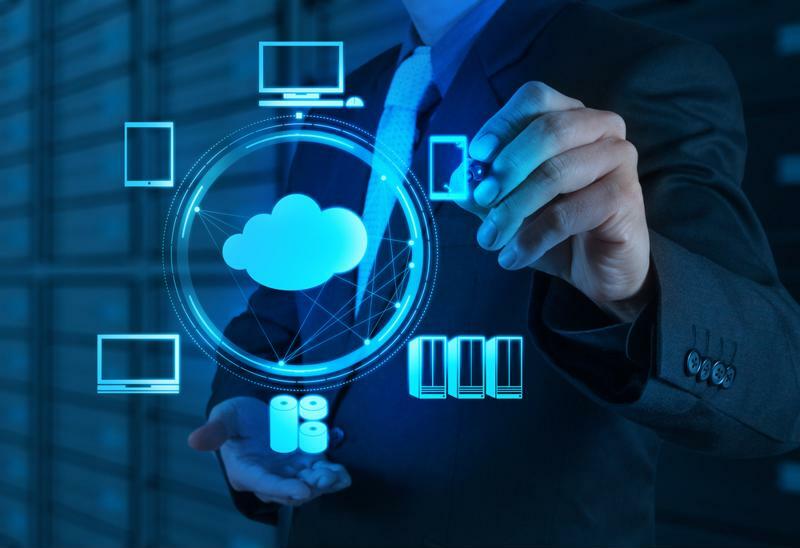 Not only is Virtual Private Cloud an excellent technical solution for a wide variety of cloud hosting needs, it’s also designed to be cost-effective. The enormous capital expenditure outlay is eliminated, and the operating expense is spread over predictable monthly payments. The Virtual Private Cloud server clusters are arranged in an N+1 configuration for added resiliency, meaning that if one server should go down – for planned or unplanned reasons – there will be no disruption in service. Expanding computing capacity: A private cloud environment can be used to extend the computing capacity being provided by a company-owned or service provider data center. Because private cloud is inherently versatile and scalable, it can support periods of peak demand or other shifts in user activity, VMware noted. In this way, enterprises can change capacity in a cost-effective manner, purchasing the resources they need at that time, and scaling up or down to accommodate their changing needs. Central IT supporting business units: Private cloud allows a company’s Central IT department to define and maintain overall control of the infrastructure, while also enabling each business unit to have the flexibility to run their business as they see fit. For example, Central IT might set up Network Groups or Firewall Zones for each of their business units – Finance, Marketing, and so on. Within the Marketing Zone, the dev team within that unit might run its own Dev & Test environment in that Network Group. Finance, on the other hand, might want to run an internal employee-facing app within their Zone. In both these examples, Central IT defines the overall architecture, but has empowered the units to run their own specific workloads. SaaS: Private cloud is well-suited to Software-as-a-Service. Dedicated clusters provide predictable performance and billing, the ability to support many concurrent users, and the power to run a high IOP transactional database. Application development and testing: Private cloud is perfect for supporting the sporadic activity of application development and testing. Developers and testers are able to create and clone unique testing environments that align with the requirements of the project at hand. Because workloads can be transferred between the private cloud and an on-site data center, there’s no need to recode or reconfigure items for cloud settings. Overall, a private cloud provides a range of possibilities for potential use cases. One of the best ways to take advantage of this technology is to try it on for size within your organization. Private cloud’s performance capabilities, control and management support and scalability make it ideal for businesses in nearly every enterprise sector. Virtual private clouds offer scalability, control and enhanced resource management. Hostway is a leader in the cloud market, offering a complete Virtual Private Cloud solution powered by Microsoft Azure. This means Hostway’s Virtual Private Cloud doesn’t just provide the performance and visibility enterprises need, but can also offer a consistent, familiar tool set alongside Hostway’s availability and uptime. Windows Azure Pack ensures streamlined resource management and delivery, enabling best-in-class control of available computing power. Hostway’s Virtual Private Cloud is well-suited to support a range of workloads, from the examples discussed above to SaaS applications and central IT support. To find out more, contact Hostway today for a free consultation.